According to a recent article in the OC Register, “as summer, and summery weather, loom, so do deaths in Orange County.” Drowning becomes the cause of many preventable deaths when the weather grows warmer and summer vacations take place. While a report from the Orange County Health Care Agency identified alarming statistics concerning drowning accidents in the state, residents of San Diego should also be on notice. While Southern California can be an idyllic place to live or spend a week in the summer, the risk of drowning very much exists. 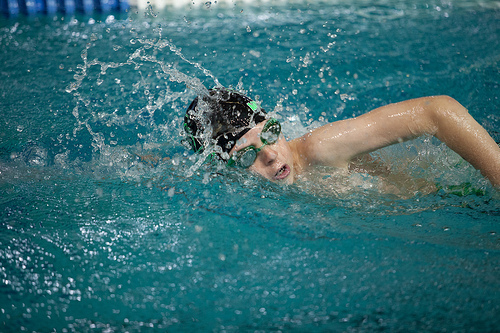 Between 2011 and 2013, 38 adults within the 65 and up age group suffered fatal injuries in a drowning accident. When we compare that with the number of young kids who died, we can see that only 11 children under the age of 5 years old suffered similarly fatal drowning injuries. In total, 105 people drowned in Orange County between 2011 and 2013. Of those victims, 90 were adults and 15 were children. Where do these drowning accidents occur? In short, they happen anywhere that water is present, including the ocean, lakes, swimming pools, spa whirlpools, and even bathtubs. In response to the number of elderly drowning deaths, the Orange County Fire Department has attempted to step up its water safety awareness programs, and it’s hoping to aim those programs toward older adults in Southern California. To be sure, drownings happen to adults who know how to swim. And they’re often fatal because the adult was in the water by herself or himself. We often emphasize the “buddy system” to our kids when we talk about water safety. Yet the buddy system isn’t just for young children. Even adults who consider themselves to be experienced swimmers shouldn’t go into the water alone. Since January, Orange County has seen six water-related deaths and four near-drowning incidents. Of those reported, five of the accidents included adults over the age of 50. Data from San Diego County shows that more than 30 drowning deaths tend to occur each year. To be sure, in 2009, 34 people drowned in San Diego County. While that number showed an increase from the previous two years, it doesn’t appear to be an anomaly. In 2004, for instance, the county reported 41 water-related deaths. Drowning is a common cause of unintentional deaths in Southern California. As we near summertime, it’s important to think about water safety and taking responsibility for young children and older adults who may frequent the pool or the ocean. In the meantime, if you or someone you love drowned, you should contact an experienced San Diego drowning accident lawyer about your case.